In 2009, tourism queensland launched a contest with the prize being ‘the best job in the world’. Over 34,000 people from more than 200 countries applied for this unique position. Ben Southall, a 34-year-old UK charity fundraiser, was chosen. 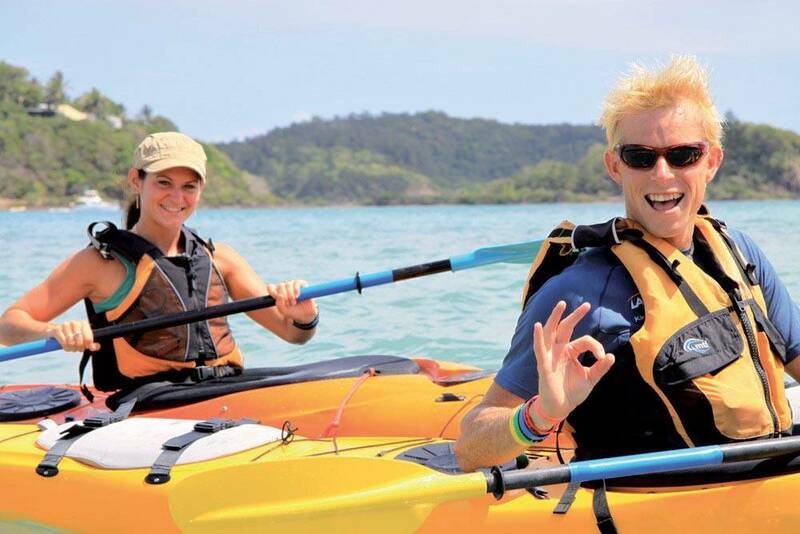 during the six months duration of his posting, Ben spent his time exploring the islands of the Great Barrier Reef, and reporting on his travel experiences by means of a blog. We met Ben after his six months experience as caretaker of Hamilton Island. twsm What were your expectations, when you won this job? bs Working as the Island Caretaker gave me more new experiences than I have ever had before in my life, and I honestly loved every minute of it. Having read through the job specification as soon as the advert for the position went out, I knew that it would be more than just a six-month holiday. It was a serious position, and there was a large amount of work to be done by the prospective employee! However the type of work would be fun and exciting: the envy of those around the world. Exactly what it was supposed to do: make people jealous, and entice them to book a holiday in Queensland to have their very own adventures. twsm What was it like to live on an island for six months with your girlfriend? 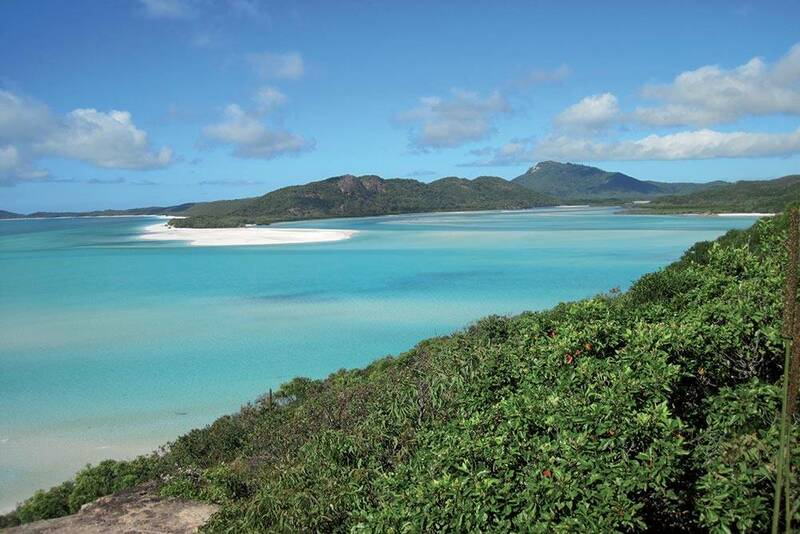 bs Spending six months living on Hamilton Island was like a dream come true. Waking up in the morning, and looking out over the Coral Sea from the balcony was an experience that will live with me forever. 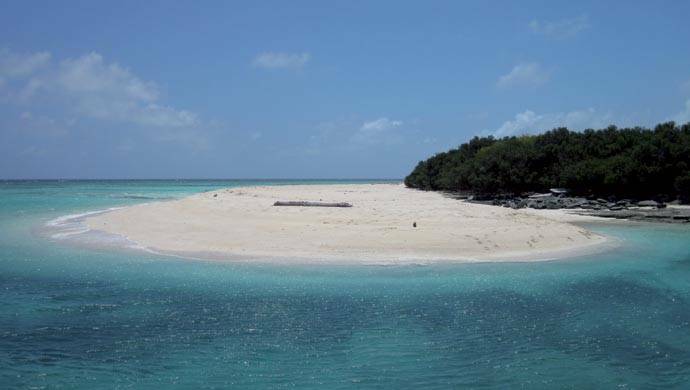 We visited 62 islands over the six-month contract! We felt like we were living like Robinson Crusoe. The Whitsundays are all about fun and life on the water. twsm Could you please describe your tasks: what did you do exactly? bs The tasks that my role involved weren’t really the same as those advertised. The four tasks were ‘feeding the fish’, ‘watching the whales’, ‘delivering the mail’ and ‘writing a weekly blog’! There was so much more than this. But I took each of the tasks I was given as a new challenge, whether it was presenting the series for National Geographic or running the Gold Coast marathon. twsm You were stung by a deadly jellyfish, and your life was at risk. bs This was a very unfortunate situation, which could have been avoided if I’d have followed my own instructions! Wearing a stinger suit at this time of year is essential in the tropics, since there can be jellyfish in the water. When I went out for a jet ski over the Christmas period, I failed to put one on. As I left the water, I felt a small bee-like sting on my left forearm. I knew something had got me. It took 30 minutes for the effects to start to take place: I felt a tingly feeling in my feet and hands. The back pain that followed was pretty uncomfortable and I went straight to the medical centre on Hamilton Island to seek guidance. The doctor there recognized my symptoms as Irukandji Syndrome and gave me the required treatment. After a few uncomfortable hours, I was discharged; The next day, I felt fifine again—in fact, I went for a 10km run! That said, it was not an experience to be repeated. twsm … And now what about the job after the Best Job in the World? bs We’ll be keeping the pace of the campaign going as I head around the planet to talk to the media, and give presentations to the trade about the job, the experience, and the opportunities in Queensland for people considering holidaying there. My new title becomes Global Tourism Ambassador. In my downtime, I will be continuing to travel throughout the state to discover more about what’s on offer. Further down the line, I am planning another big adventure: I intend kayaking the length of the Great Barrier Reef, all 2300km of it, to raise awareness about the reef, educate people around the world, and also raise money for a number of charities.